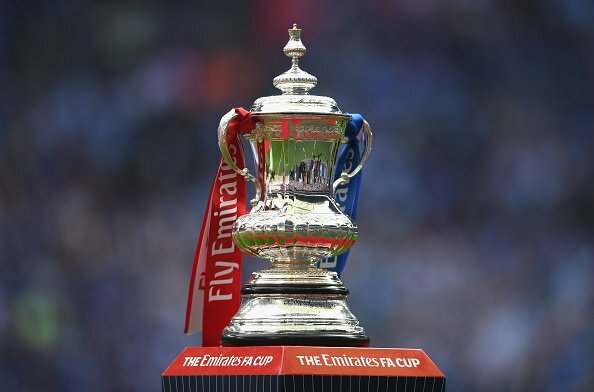 Manchester United will be involved in next month’s FA Cup semi-finals at Wembley Stadium following our 2-0 win over Brighton & Hove Albion on Saturday. We are joined by Tottenham Hotspur, Southampon and Chelsea in the final four. The draw for this evening’s game took place after Chelsea’s 2-1 extra-time win at Leicester City. Jose Mourinho’s side will face Tottenham Hotspur in our semi-final. This will be our third trip to Wembley under Mourinho, having previously won both the Community Shield and EFL Cup under his leadership at England’s national stadium. Tottenham were 3-0 winners at Swansea City in the Saturday lunchtime quarter-final. Mauricio Pochettino’s side will feel at home in our semi-final given that they have been using Wembley as their home stadium this season whilst White Hart Lane is being rebuilt. However, we will have the home changing room. Chelsea will face Southampton in the other all-Premier League tie in the FA Cup. The Saints were 2-0 winners at Wigan Athletic in their quarter-final earlier today. The games will be played on 21-22 April ahead of May’s final.